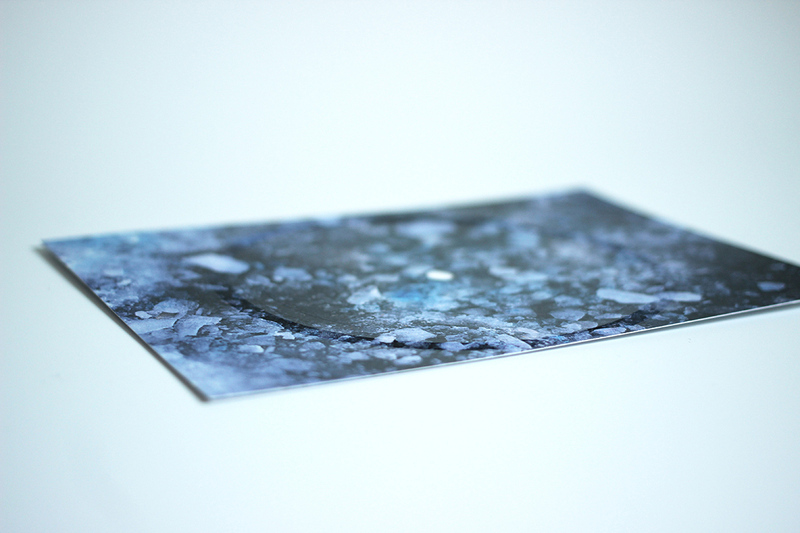 ABSENCE (2016) shows disappearing materials, including a sound, hidden in the gloss lacquer layer on top of the image. 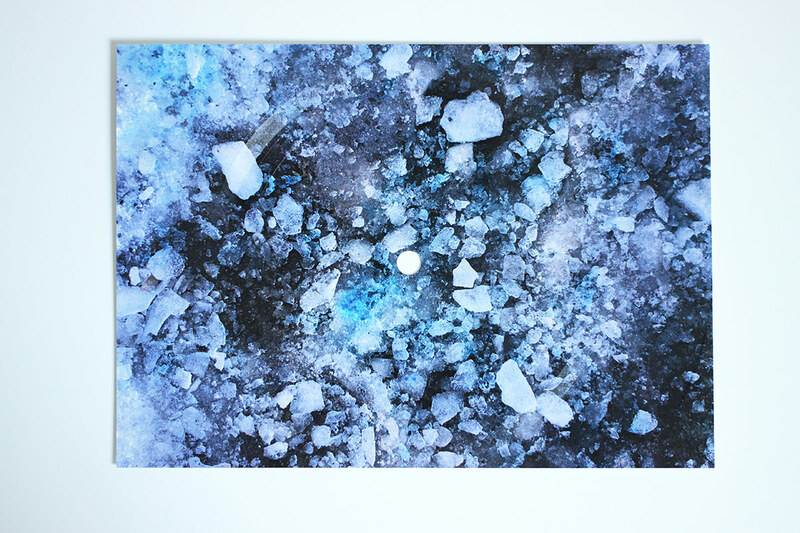 Colored chemicals in the picture are only visible during the disappearing process of melting ice. The edition can be played as a vinyl on a record player. 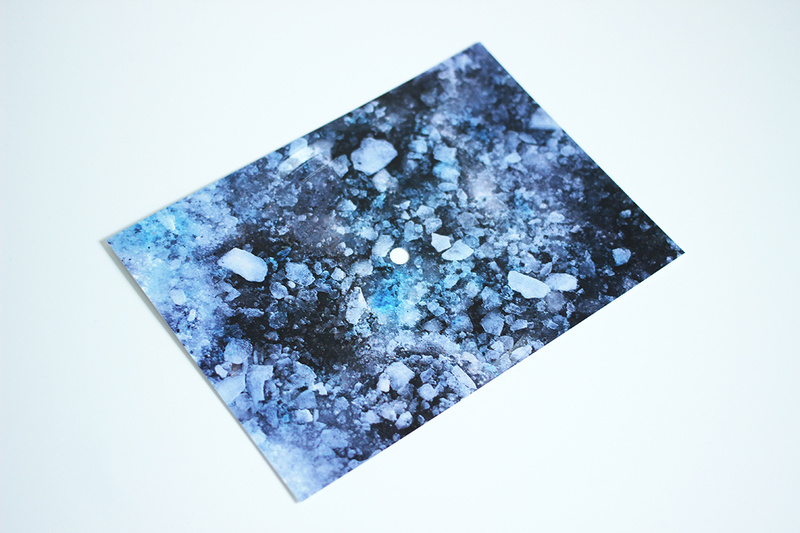 Made in collaboration with Regina Lok Yan To, a nebulous sound appears briefly to occupy a momentary space.